Every year, South African companies spend millions on leadership development, yet they neglect to consider that far more value could be achieved if they invested lower down the ladder. Dynamic policy, faster internet and building trust important for both government and business. Most Africans access the internet via their phones, affecting how Google develops new services. Nigerians are a nation of entrepreneurs; while Nairobi has established itself as a technology hub, says Eric Schmidt, chairman of Google. What is Google’s game plan in Africa? Google has ramped up its operations significantly in sub-Saharan Africa over the past few years. The Larry Page and Sergey Brin of Malawi? Two 23-year-old Malawian students have recently launched a local search engine called cfinder. 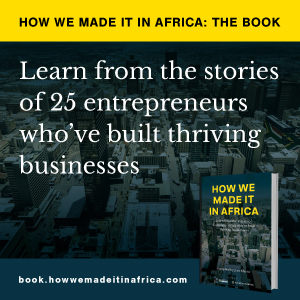 How we made it in Africa interviews Kondwani Chimatiro and Daniel Chiwinga. Internet search giant Google has ramped up its operations significantly in Africa over the past four years. Google wants to see every small and medium size business in Kenya have its own website. West Africa’s internet penetration level remains one of the lowest in the world, but a booming market for mobile phones has more tech companies sensing opportunity. Google has launched Google Trader in Ghana, a free classifieds service that allows people to buy and sell products and services as well as search for jobs. Google yesterday unveiled Swahili versions of Gmail, Google Maps and Google Chrome.